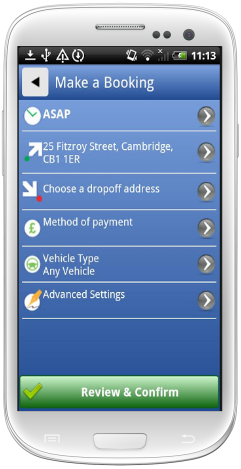 Also the app will pick up your current location using the phones GPS so you don't even need to enter a pick-up address, just enter the destination and the time then press book, it really is that simple! 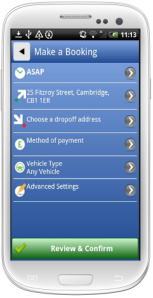 Once you have booked the taxi you can track it in real time on an interactive map. We hope you enjoy our FREE app. Grab it from the below link or just scan the QR code.